do you wonder how you can handle this more conveniently? The answer: Knowledge management. Why should you invest in Knowledge Management? Almost 50% of Service Desk's feel they underutilise their Knowledge Management. 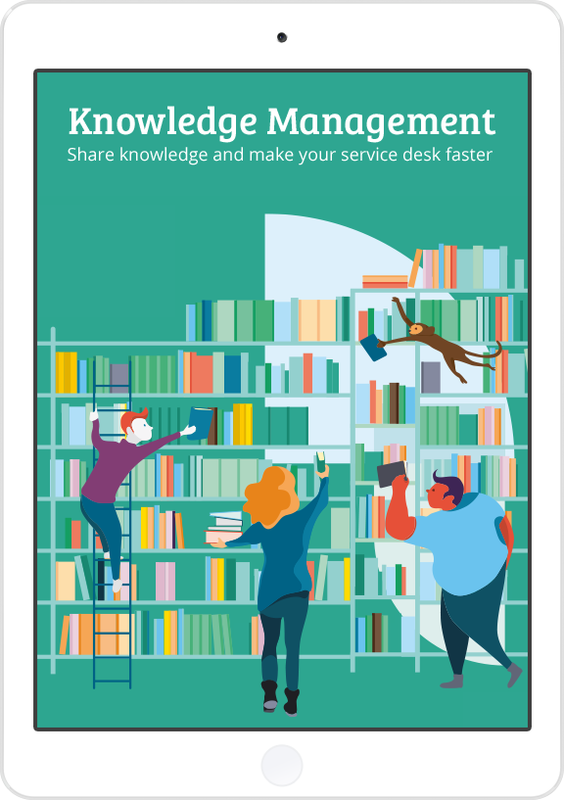 In this e-book, you can read how to make the most of knowledge sharing for a more efficient Service Desk. Chapter 1Should it be smarter? Chapter 2What is Knowledge Management? Chapter 4Why invest in knowledge management? Judith Lumbela and Joost Wapenaar are consultants and Knowledge Management experts at TOPdesk.